We are very happy to gather with the Toptalers in Rio de Janeiro again. 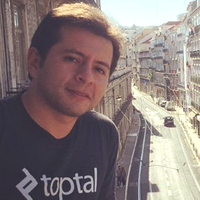 The #ToptalSBR16 roadtrip, will come to Rio de Janeiro, the next Thursday October 20th, in a partnership with the best of the local PHP community. This gathering is an informal event, and we will meet to promote the realization of live online events, talk about the language, work, and everything. The event will take place at Bourn Burger, a new place to savor good burgers and a cold beer. It is close to Lapa Café, at Rua Gomes Freire - close to Mem de Sa street, and less than 10 minutes walk to the Carioca Metro. You can make your RSVP now!